The debut of the new Subaru WRX scares me, I am preparing myself for the disappointment of a bloated Impreza with a hood scoop. 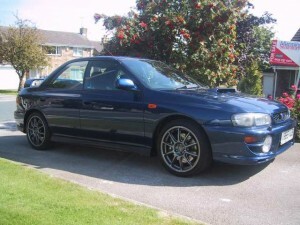 But wait, wasn’t the original Subaru Impreza Turbo’s and WRX’s fast cars that weren’t lookers that flew under the radar? That’s true but they weren’t unattractive cars at their core and the addition of the wing and rally fogs made them more appealing. We were all impressed by the Concept Subaru has shown us of a potential new WRX but the spy shots and renders failed to impress. What really scares me is where this car will be priced? The current WRX starts at around 26K; will the new WRX be priced higher? If it’s priced higher or even starts around the same price, Subaru has missed the mark. In the performance Impreza chain, the WRX replaced the Impreza Turbo as the entrance into Subaru performance starting with GD generation which was also the start of Subaru pricing itself out its market with a car that starts in the mid 20’s in it’s base WRX form instead of having a turbo motored Impreza that starts at 20K. The target market for cars like Turbo Subarus and Evo’s is people in their twenties who want a fast car that costs under 25K, not many in this market can afford WRX’s and Evo’s in the current price range. So Subaru, in order to make the WRX the car it can be, it doesn’t need to be flash but it can’t be bloated and most importantly make affordable so the people that would want to buy it can afford it. 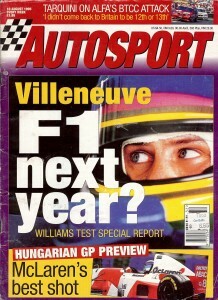 The July 27, 1995 edition of Autosport focuses on the preview for the German Grand Prix. 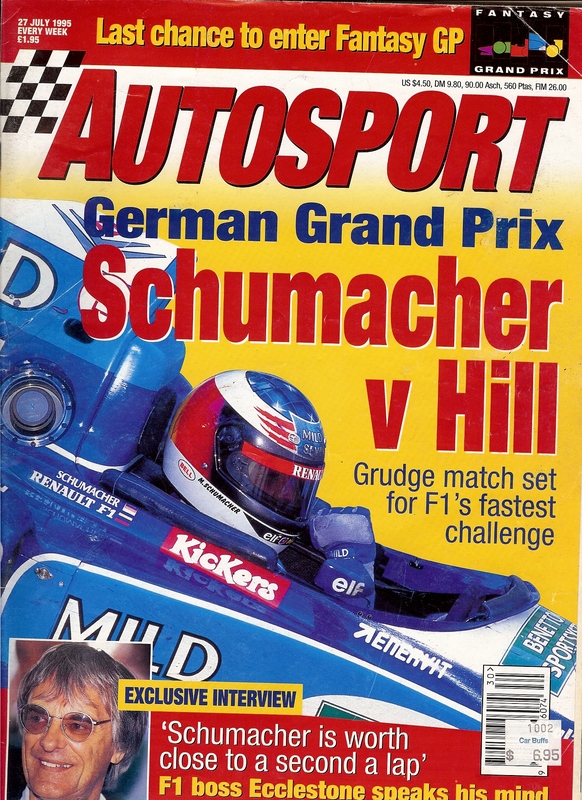 The clash between Michael Schumacher and Damon Hill at the previous round at the British Grand Prix at Silverstone is still on the mind of everyone with predictions being the German GP would be a fight between these two. The Hill/Schumacher battle is topic Nigel Roebuck brings up in his edition of the Fifth Column. Roebuck talks about how the Silverstone incident is another example of how in current times, the trivial is emphasized and everything is analyzed to the oblivion. Roebuck states “…it seems to me sometimes that we journalists are writing more and more about less and less”. Little could Nigel imagine today’s society with blogs, social media, etc. On the topic of Nigel Roebuck, this issue of Autosport also features Nigel talking with Bernie Ecclestone about Bernie turning Grand Prix racing into what is, enemies he’s made and the people that are greatfull to him, including Michael Schumacher. It’s typical honest, making deals Bernie in the interview with Bernie telling the story as to how he made Schumacher a Benetton driver. He says that Schumacher is worth close to a second a lap comapred to anyone else. With death of Senna the year before at Imola still a hot topic Bernie addresses those who thought the race should have been stopped by saying, “Senna was dead, clinically but he was alive. And why should the race have been stopped?” Bernie also talks about long term planning in F1 calling anyone who starts talking about four years time “an idiot” due to the fast changing world. Top story in this issue is the Simek team being sold for 250,00 pounds at auction. Some of things that went under the hammer were Jos “The Boss” Verstappen’s S951/001 minus Cosworth engine and gearbox going for 18,000 pounds and Mimmo Schiattarella’s pitboard going for 70 pounds. 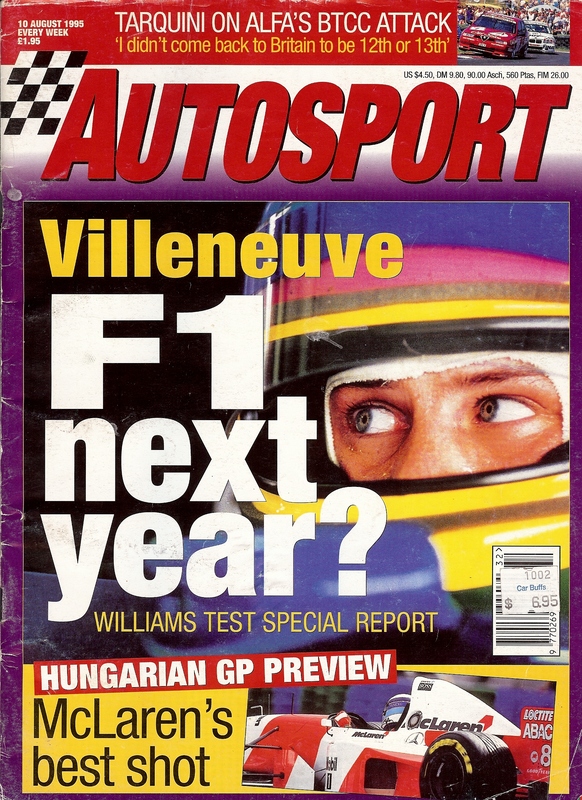 News also included recent Clevland Indycar winner Jacques Villeneuve being close to a test with the Williams team and 20 year old Canadian Greg Moore wrapping up the Indy Lights title with three rounds still to run. One of the great racing series in the world in the 90’s was the DTM/ITC with the likes of Opel, Mercedes and Alfa battling it out in high tech touring cars. This issue covers the DTM round from Diepholz with Michael Bartels sweeping both races in the beautiful orange Jagermeister Alfa. In second in race one was AMG’s young Scottish gun Dario Franchitti. Two racing Scot’s were featured in back to back articles. 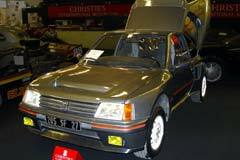 Colin McRae and his toys such as his Honda Fireblade and his Monaco apartment were in one story and British Tourning Car star John Cleland talks about going for his second title and his refusal to let his young hotshot teammate James Thompson get in his way. 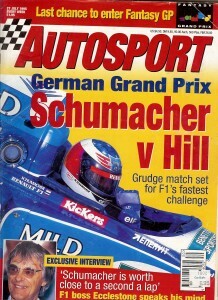 In the World of Sport section, German Forumla 3 is at Deipholz with Ralf Schumacher sweeping both races and in Club Autosport, hillclimber (and future BMW touring car ace) Andy Priaulx wins his home hillclimb in Guernesy and closes in a RAC title. The Last Lap column is by the great Denis Jenkinson reflecting on the great Juan Manuel Fangio who had passed away the week before. Jenks calls Fangio gentle and very human being until he climbed into a racing car, at that point he became in Jenks words “a tiger”. He also talks about the respect Fangio commanded even years after his racing career.